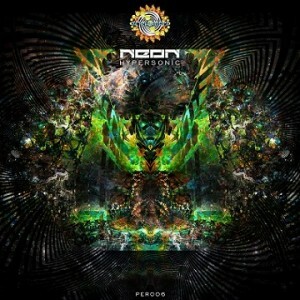 Hypersonic is the debut album from Pureuphoria Records label boss Neon (Alexei Ovtchinnikov). Featured here are a variety of full-on psytrance tracks written in the last two years, mainly for live sets played at open air festivals. Every track has its own story but, through time, all the frequencies begin to merge into a much greater story. This is an album with a purpose: to take sonic travellers beyond sound into a place of mystic interactions. Let the journey begin! Mastered by alex.neon at Pureuphoria Studio with artwork by Neomorph GFX. MP3 Download | FLAC Download | WAV Download · Download count: 7,927. Released under a Creative Commons license for noncommercial usage. This release is also available on CD; please support the label if you like the music! Full-On with a hint of DarkPsy .. love it ! Thanks for sharing this gem on Ekto .. BoOm Shankar !! You can’t really go wrong with the stuff that Pureuphoria Records is putting out. Hypersonic reminds us of the good ol’ early days of full-on psytrance, with a mad twist. Deep and solid, hard-hitting tracks with substance… every one of them! I’ll be looking out for this guy. Thank you So much for the feedback and Support !!! possibly the best album o 2013. not just in the frame of it’s genre, could be the frames of music easily.